By the time you’re reading this post, Kate and William will probably have tied the knot and are getting ready for the sumptuous post-service festivities. In the meantime, media outlets will be rushing to get their stories and video footage of the event of the year online, feeding a huge demand for the juicy details of the Royal Wedding, comments on the princess’s dress and the quirky facts of the day. And while everyone is busy catching up on the latest news from Buckingham Palace, I wonder what impact today’s wedding will have on email traffic flow around the globe. We’ve already seen a considerable number of online wedding-themed scams over the past week and we can expect a lot more scams created over the next few days as the media pumps out more and more details, footage and pictures of the event and consumers devour it with relish. As Christina Goggi’s earlier post on the wedding explained, scammers and malware creators are really latching on to the event pushing SEO poisoned search results, rogue antivirus scam and other nasty schemes and I would advise anyone looking up wedding-related material to be extremely careful. Apart from the IT security concerns that usually come with these events, there is another issue that merits some discussion and that is email storage. Where, you may ask, is the correlation between email storage and the Royal Wedding? Well, let’s step back a bit and consider people’s behaviour. You have a big event, everyone’s talking about and there is so much material available online that people want to share. The chances are a friend or colleague will want to share a link to a news story or an attachment and circulate to everyone on his email contact list. If you only have a personal email, a few emails from friends won’t make a difference (unless they’re a scam or contain infected attachments) but what if you’re using a corporate email account? What if 20 employees decide to share an email with a video clip attached and each one, in turn, sends it to another 10 employees in the organization? Let’s say the clip is 5MB in size – you have a total of 200 emails with a 5MB attachment. That’s 1GB of data. Now if everyone in the organization shares that email internally or externally, the volume of data passing through the email server at any point is going to be huge – and it’s going to impact not only on the overall capacity of the message store but also server performance. Although some organizations may block certain file types at the gateway and use content filtering to block emails headers with particular keywords, most companies do not and end up with a bloated email server and multiple copies of a single email with a large attachment. 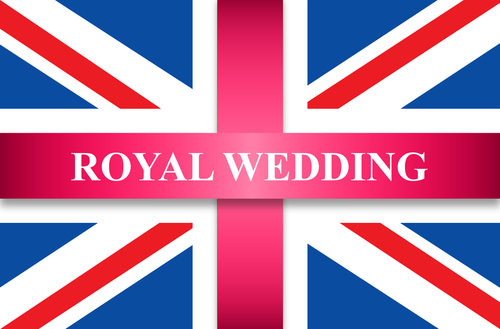 Luckily, Royal Weddings are few and far between but there are many other major events that generate a lot of interest and email traffic, so we’re not looking at a single event that can cause problems. This could be a major issue for organizations which depend on email but do not have the ability (or finances) to increase storage space on the server at will. This example is not as far-fetched as it may initially sound and organizations with heavy email traffic flows know exactly how storage is affected by multiple instances of the same email. The key to resolving this pain point is quite simple – email archiving. In essence, a copy of each email received is stored in a centralized location. This means that the email does not need to be stored on the email server any more thus freeing up much needed space and resources on the server. With single instance storage, for example, of the 200 emails with a 5MB attachment, only one copy is retained but still accessible by everyone in that conversation. Simple. Yet so effective when managing peaks in traffic volumes because of events like today’s wedding. If you’re using a corporate email account, do think twice before sending large attachments to multiple recipients. 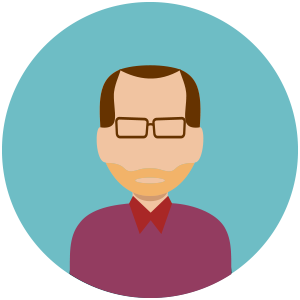 David Kelleher has over 20 years’ experience in media and communications, he has written extensively for business and tech publications and is an editor and regular contributor to the GFI blog. A brilliant solution to a problem that can be so internally crippling. It’s not like it’s difficult to set up, either. Something like this in this example would work even better than passing around a link which could potentially be malicious and would still tax the server equally. Events like the Royal Wedding are a good test for a company’s preparedness for surges in traffic. The idea to use email archiving is really awesome – in addition to all the benefits already mentioned, it will also speed viewing the video because you will be accessing it locally rather than over the Net. Sending forwarded jokes, inspirational messages, personal photos, and the likes are a big NO NO in our office. As the IT Head of our company, it is my responsibility to implement this rule. But you can’t completely monitor all users especially if you have more than 400 email accounts. I’m not a micro-manager and definitely not the Big Brother-type of IT guy. It’s really up to every employee’s professionalism to keep our server nice and clean. Just wait for the clips, photos, and all the other stuff when the heir (or heiress) is born. The hysteria will be double.